Eid is a beautiful and lovely day to pray, care, love, smile and celebrate with one another and to thank Allah for giving us this wonderful day. The word Eid means something which is habitual, repeating, or a recurring event. It can also be used for a particular place which people visit periodically. It can mean a time period in which a particular action is done regularly. The plural of Eid is A’yad which means: days of gathering. 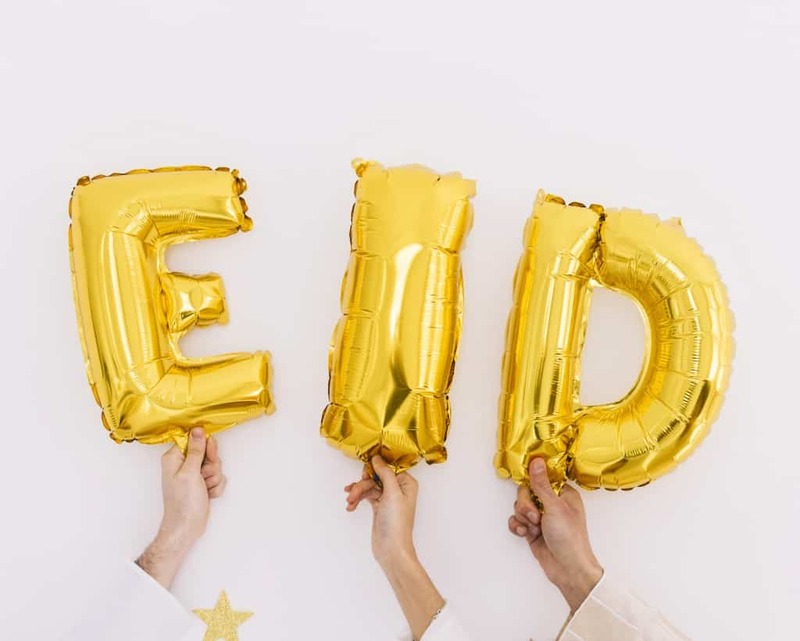 The word Eid is derived from the Arabic word ‘Ada, which means to return. And Muslims return to this event every year. Eid to Muslims is also a day of reward, happiness and rejoice. The days of Eid are a reward from Allah to His servants for their patience through hardship and performing ‘ibadah/worship. Muslims have two Eids; Eid-ul-Fitr and Eid-ul-Adha. Eid-ul-Fitr is celebrated during the first day of the Islamic month of Shawwal every year. But Eid-ul-Adha comes after performing the Hajj (pilgrimage) on the 10th of Dhul Hijjah according to the Islamic Calendar. Its background is that Ibrahim, known as Abraham in the Christian and Jewish traditions, was commanded by God to sacrifice his adult son. He obeyed and took Ishmael (Ismail or Ismael) to a mountain. Just as he was about to sacrifice his son, an angel stopped him and gave him a ram to sacrifice in place of his son. Eid to Muslims is not just a day of joy and rejoice, it’s also a day of worship. Indeed every act that Muslims do with good intention is considered an act of worship. When a Muslim smiles at his brother/ her sister, this smile is a worship. As mentioned, Muslims have two Eids (festivals); Eid-ul-Fitr and Eid-ul-Adha. These Islamic festivities are different from the world day of women, and the world day of… etc, because the world days were put by humans, but the Islamic festivals were legislated by Allah. So, these days are sacred, but the other days are not. So, Muslims don’t celebrate these days, especially pagan festivals like Halloween. Halloween is a frightening and horrific celebration that inspires fear and horror and symbolizes evil and bloodshed in its origin. Pagans-innovated-festivities that generate violence and fear and infuse young people with intimidation teach children violence and eliminate compassion and mercy between young and old people. On the other hand, Muslims’ celebrations are time for happiness and rejoice. In festivities, Muslims wear new and good clothes, perfume, smile, accompany their kids and wives (family) to the congregational prayer. Moreover, Muslims are in constant remembrance of Allah, uttering the most beautiful words expressing their gratitude and thankfulness to Him for giving them this gift full of joy and happiness. Eid is a celebration that embraces and shows love, brotherhood, peace, and happiness, and promotes the values of solidarity and compassion among all. Muslims’ celebrations are sacred and promote the values of solidarity and compassion among all people. Ohh, why not join Muslims at Eid-ul-Adha on the 21st of August. Remember on Halloween to tell us the difference between the two experiences.